Metabolismus (vocabulum a verbo Graeco μεταβολή 'mutatio' deductum) est congeries reactionum chemicarum quae in organismis vivis ut vita sustineatur fiunt. Hae rationes organismos crescere et regigni sinunt, suas structuras sustinere rebusque circumiectis respondere. Metabolismus in duas categorias plerumque dividitur: catabolismus materiem organicam dissolvit, exempli gratia ut energia in respiratione cellularum capiatur; anabolismus autem energia utitur ut partes cellularum sicut proteina et acida nucleica fiant. Chemicae metabolismi reactiones in vias metabolicas digeruntur, in quibus unum chemicum per gradus in aliud chemicum serie enzymorum convertitur. Enzyma metabolismo magni momenti sunt quia organismos agere reactiones optabiles sinunt quae energiam requirunt solaeque non accidunt, ad eas coniunctas ad rationes spontaneas? quae energiam liberant. Quia enzyma sunt catalystae, ei has reactiones velociter efficienterque procedere sinunt. Enzyma etiam sinunt regulationem? viarum metabolicarum quae mutationibus cellularum circumiecti signisve aliarum cellularum respondet. Metabolismus organismi decernit quas res organismus habet nutrimenta? et quas venena. Exempli gratia, aliis prokaryotis hydrogenii sulphidum est nutrimentum, sed hoc gas animalibus est venenosum. Celeritas metabolismi, modus metabolicus?, etiam impellit quanta alimenta organismus requirat. Conspicua metabolismi proprietas est similitudo primarum viarum metabolicarum et elementorum inter etiam diversissimas species. Exempli gratia, acida carboxylica, ut media in circulo acidi citrici notissima, in omnibus organismis adsunt, adeo in speciebus tam diversis quam Escherichia coli, bacterium unicellulare, et tam immanibus quam organismi multicellulares, sicut elephantes. Hae conspicuae metabolismi similitudines probabiliter amplam implicant efficentiam harum viarum et earum ortum primis temporibus in evolutionaria vitae historia. Plurimae structurae quae animalia, plantas, et microbios constituunt ex tribus primis molecularum classibus fiunt: acidis aminicis, carbohydratis, et lipidis (saepe adipibus appellatis). His moleculis vitalibus, reactiones metabolicae has moleculas per constructionem cellularum carnumque faciunt, aut eas dissolvunt ut adhibentur ut fons energiae, in digestione et usu cibi. Multae graves biochemicae coniungi possunt ut fiant polymeri sicut DNA et proteina. Hae macromoleculae sunt "essentiales."? Proteina consistunt in acidis aminicis per catenam linearem ordinatis et a vinculis peptidicis? coniunctis. Multa proteina sunt enzyma quae chemicas in metabolismo reactiones catalyzant?. Alia proteina officia structuralia vel mechanica habent, sicut proteina quae formant cytosceletum, systema pegmatis quod formam cellularem sustinet. Proteina etiam certum pondus habent in significatione cellulari, responsis immunitatis, adhaesione cellulari, transportatione activa trans membrana, et circulo cellularum. Cellulae plantarum (a parietibus caeruleis finitae) chloroplastibus? (viridibus) impletae, quae sunt loci photosynthesis. ↑ Pace NR (January 2001). "The universal nature of biochemistry". Proc. Natl. Acad. Sci. U.S.A. 98 (3): 805–808 . ↑ Smith E, Morowitz H (2004). "Universality in intermediary metabolism". Proc Natl Acad Sci USA 101 (36): 13168–73 . ↑ Ebenhöh O, Heinrich R (2001). "Evolutionary optimization of metabolic pathways. Theoretical reconstruction of the stoichiometry of ATP and NADH producing systems". Bull Math Biol 63 (1): 21–55 . ↑ Meléndez-Hevia E, Waddell T, Cascante M (1996). "The puzzle of the Krebs citric acid cycle: assembling the pieces of chemically feasible reactions, and opportunism in the design of metabolic pathways during evolution". J Mol Evol 43 (3): 293–303 . ↑ Michie K, Löwe J (2006). "Dynamic filaments of the bacterial cytoskeleton". Annu Rev Biochem 75: 467–92 . ↑ Nelson, David L.; Michael M. Cox (2005). Lehninger Principles of Biochemistry. New York: W. H. Freeman and company. pp. 841. ISBN 0-7167-4339-6 . Lane, N. 2004. Oxygen: The Molecule that Made the World. Oxford University Press, C.F.A. ISBN 0-19-860783-0. Rose, S., et R. Mileusnic. 1999. The Chemistry of Life. Penguin Press Science. ISBN 0-14-027273-9. Schneider, E. D., et D. Sagan. 2005. Into the Cool: Energy Flow, Thermodynamics, and Life. Sicagi: University Of Chicago Press. ISBN 0-226-73936-8. Berg, J., J. Tymoczko, et L. Stryer. 2002. Biochemistry. Novi Eboraci: W. H. Freeman and Company. ISBN 0-7167-4955-6. Brock, T. D., M. T. Madigan, J. Martinko,et J. Parker. 2002. Brock's Biology of Microorganisms. Benjamin Cummings. ISBN 0-13-066271-2. Cox, M., et D. L. Nelson. 2004. Lehninger Principles of Biochemistry. Palgrave Macmillan. ISBN 0-7167-4339-6. Da Silva, J. J. R. F., et R. J. P. Williams. 1991. The Biological Chemistry of the Elements: The Inorganic Chemistry of Life. Oxoniae: Clarendon Press. ISBN 0-19-855598-9. Nicholls, D. G. and Ferguson, S. J., Bioenergetics. (Academic Press Inc., 2002), ISBN 0-12-518121-3. Price, N., et L. Stevens. 1999. Fundamentals of Enzymology: Cell and Molecular Biology of Catalytic Proteins. Oxoniae: Oxford University Press. ISBN 0-19-850229-X. Microbial metabolism Simple overview. School level. Metabolic Pathways of Biochemistry Graphical representations of major metabolic pathways. Chemistry for biologists Introduction to the chemistry of metabolism. School level. Sparknotes SAT biochemistry Overview of biochemistry. School level. MIT Biology Hypertextbook Undergraduate-level guide to molecular biology. "Metabolism" at the Encyclopædia Britannica. Concentrates on human metabolism (Free access). Guide to Glycolysis School level. Downloadable guide to photosynthesis School level. What is Photosynthesis? 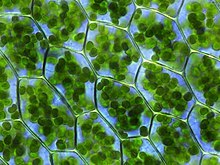 Collection of photosynthesis articles and resources. Novissima mutatio die 6 Octobris 2018 hora 19:33 facta.